This song really gets down to the brass tacks (guess I’ll have to do a word study of that phrase, too) of the Incarnation. It was written by Charles Wesley and first published in 1739 under the title “A Song for Christmas-Day.” The original opening line was “Hark! How all the welkin rings” which sent me on a rabbit trail for the meaning of welkin. In short, it’s a Middle English word that literally means cloud or in usage like this, the heavens. Wesley wanted a slow and solemn tune and got it. Over a hundred years later in 1855, William Cummings paired it with a melody taken from a cantata that Felix Mendlessohn had written back in 1840. It’s hard to visualize it any other way. Wesley captures the dramatic proclamation of the angel and the song of the heavenly host. He also doesn’t hold back on his description of the purpose and significance of the coming of the Christ. Almost every line has a deep meaning from the scriptures. Some have asked why “Sun of Righteousness” is spelled with a u rather than an o. Wesley is actually referring to Malachi 4:2. You will see it spelled Son in some versions, today and even the 1758 version had Son of Righteousness in it. 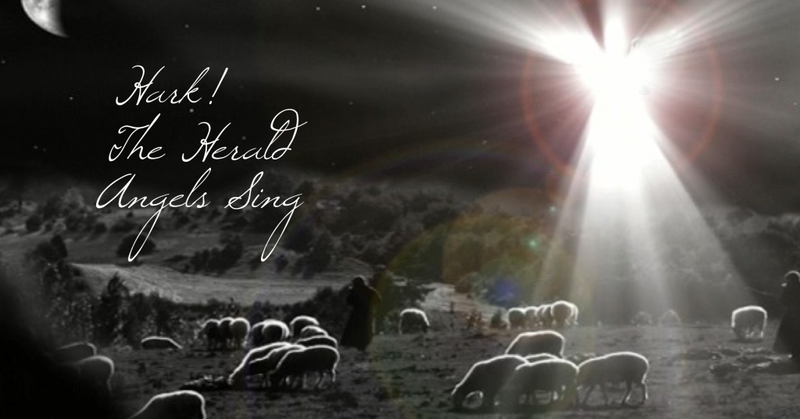 The carol is rich in theology and rousing to hear it sung by a great choir and congregation. 3 Hail, the heav’n-born Prince of Peace! Here is a version of Natalie Cole singing it with the Mormon Tabernacle Choir. I just heard today that she passed away.